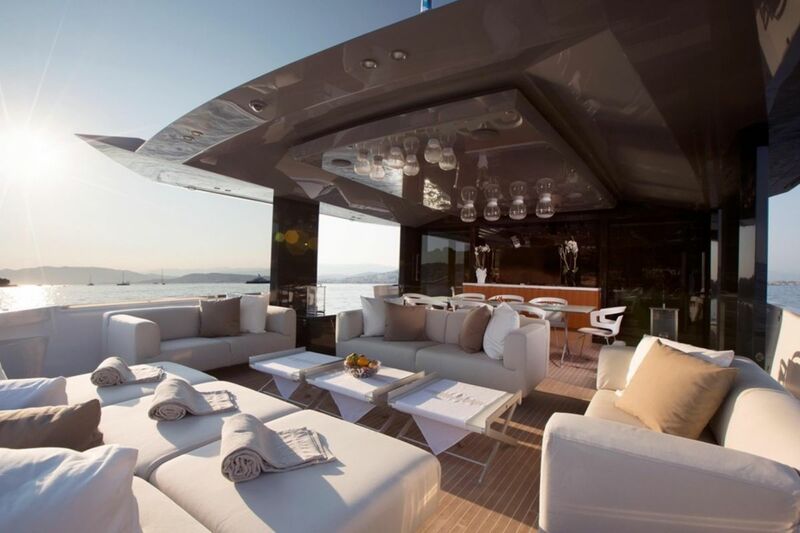 This Arcadia 85 charter yacht boasts expansive deck space and a generous interior volume. 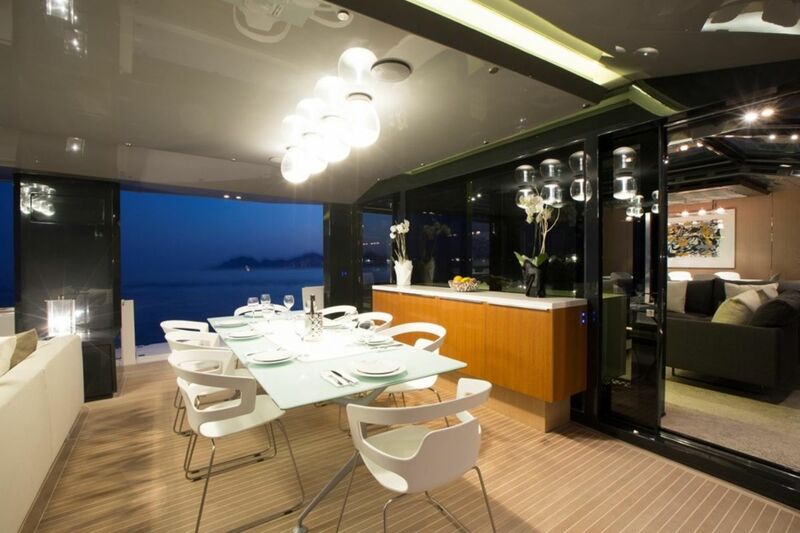 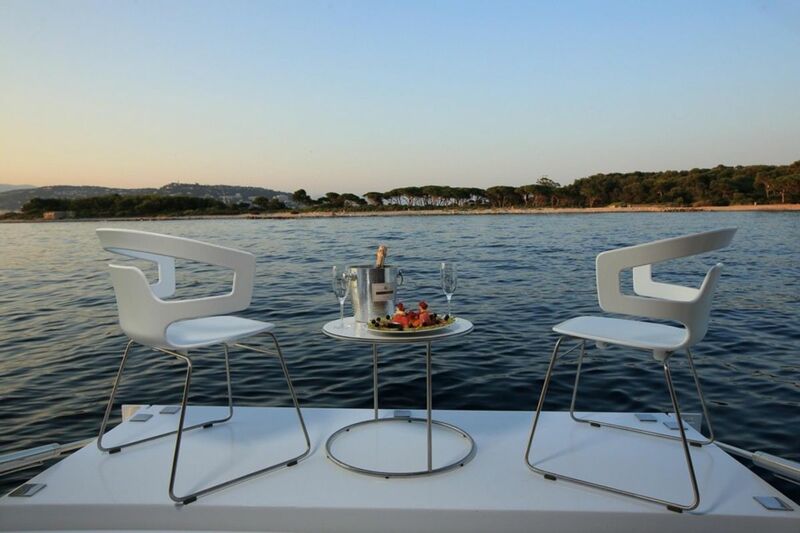 She has great entertaining facilities including a formal dining area and a seating area inside the yacht as well as an alfresco dining area on the aft deck plus a further seating area. 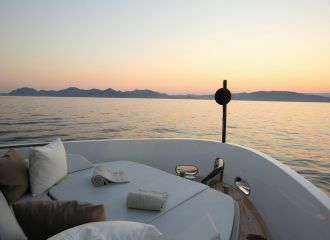 The foredeck sunbeds are particularly enjoyable. 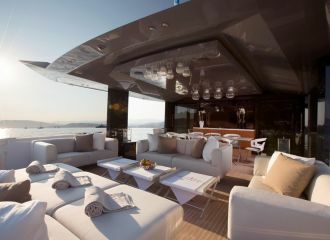 The yacht offers unmatched comfort for the guests onboard thanks to her stabilisers both underway and at anchor. 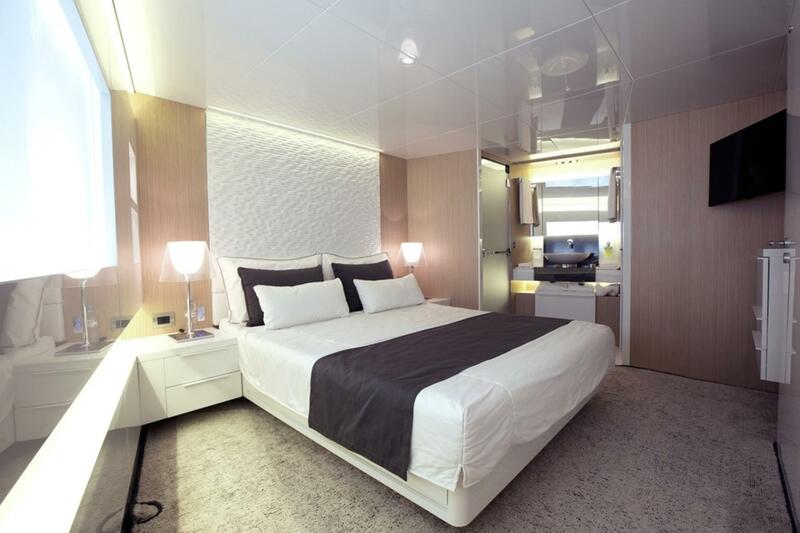 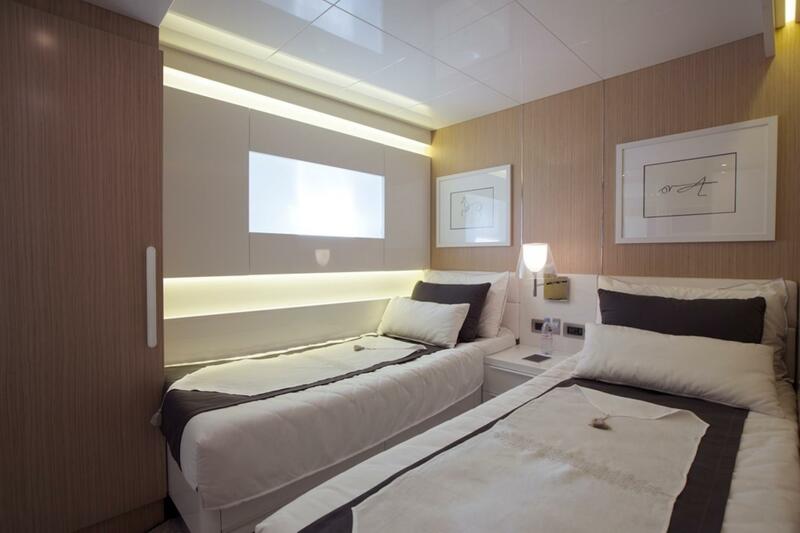 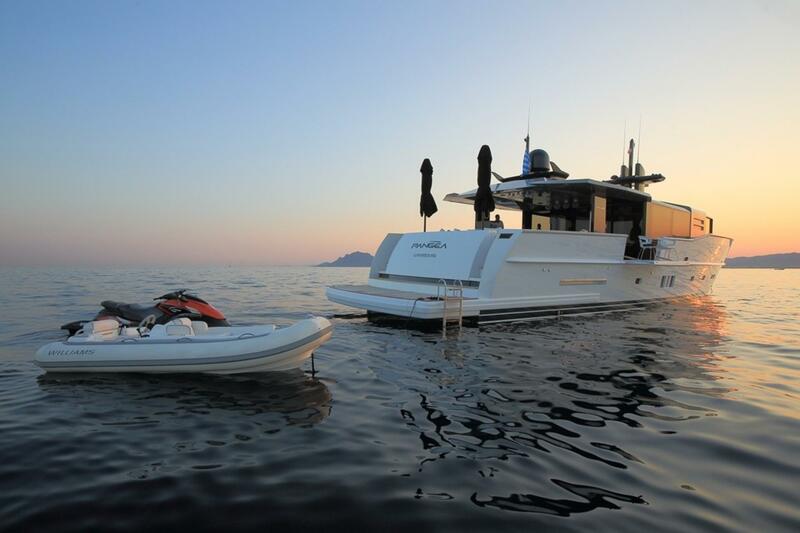 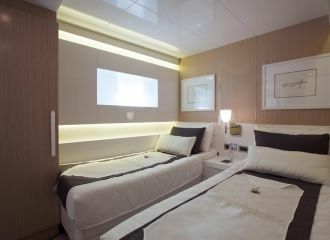 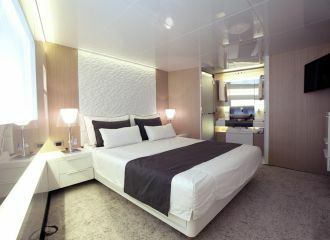 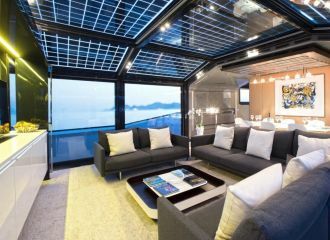 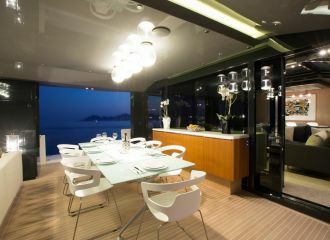 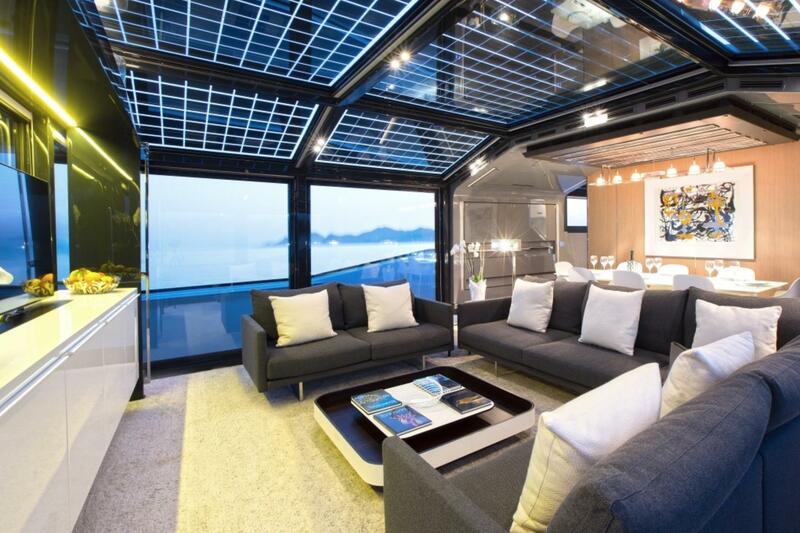 This Arcadia 85 features accommodation for up to 8 guests in 4 cabins: 2 double, 2 twin, all en-suite. 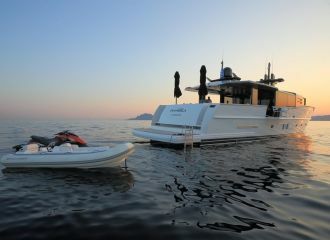 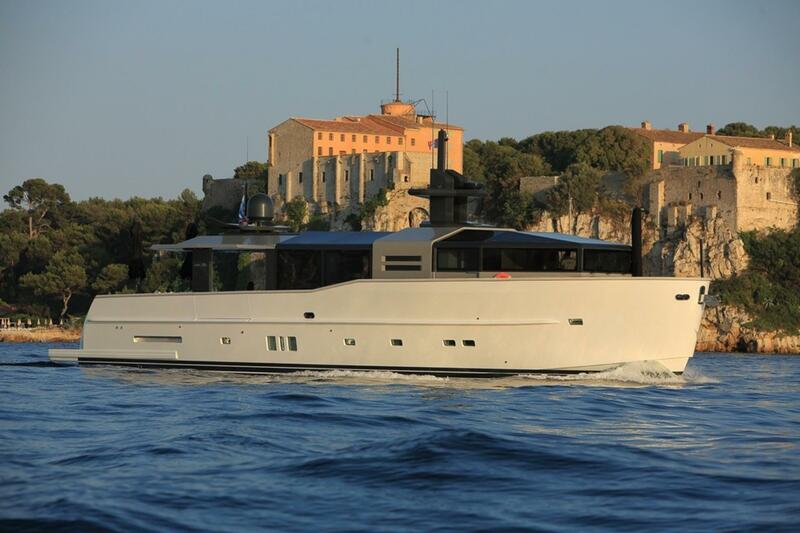 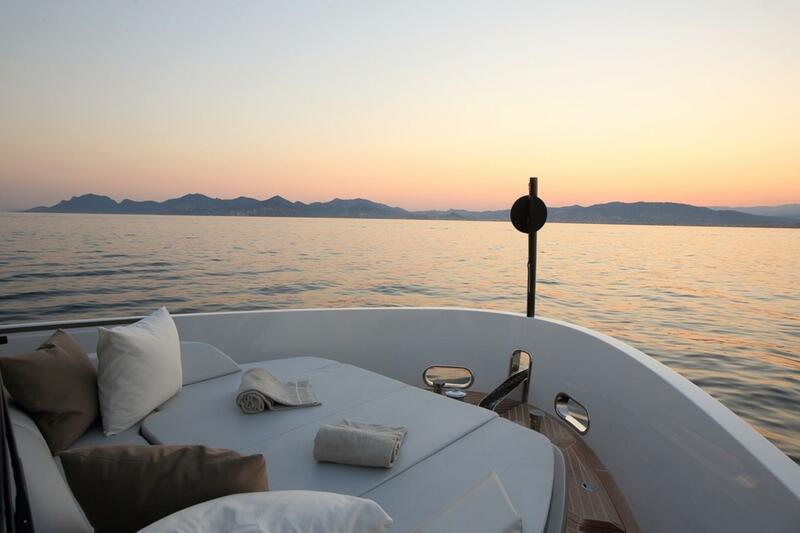 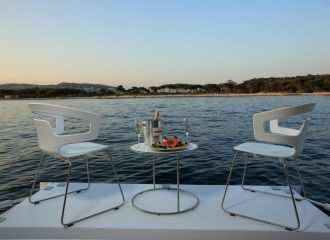 Available this summer for a south of France yacht rental. 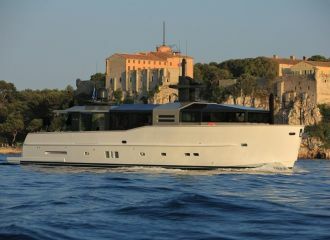 total 8200	€ Excluding VAT and APA ?